How Much Is A Divorce Lawyer In Houston Going To Cost? | Lindamood & Robinson, P.C. How Much Is a Divorce Lawyer in Houston Going to Cost? One of the most frequently asked questions by prospective clients looking to retain a Houston divorce lawyer is, “how much will this cost me?” This is a perfectly reasonable question to ask, especially given the stressful and uncertain dynamics associated with a divorce. The truth is that the cost of divorce in Texas will be different for each couple and depends on a myriad of factors such as the complexity of your community property, whether the divorce is contested or uncontested, and whether you have children. Texas is a “community property” state. Basically, this means a court will divide your marital assets in a manner deemed to be “fair and just.” In many instances, this means a 50/50 split, but that is not always the case. It depends on the factors leading up to the divorce and the financial situation between you and your spouse. For example, if you are the primary breadwinner in the household, you should probably not expect a 50/50 split of marital property. In addition, if you have minor children, there are likely custody issues that need to be addressed, which will require more time and potentially more expense. You may also be required to make child support payments until your child turns 18, graduates high school, or your child is emancipated. In order to get your divorce finalized, you are required to pay the court fees for filing the necessary documents. For example, there are filing fees associated with a divorce, annulment, changing your name, paternity testing, and so forth. The fees depend on the jurisdiction you are filing the divorce in. 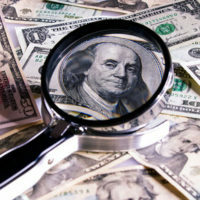 Your Houston divorce lawyer should provide a detailed breakdown of the associated court costs. These fees apply no matter who files the divorce decree (you or your spouse). Hiring a Houston divorce lawyer will entail an initial cost, but that investment will pay dividends as the divorce process goes on. This is because a lawyer will ensure you meet the necessary filing deadlines and review all legal documents to avoid any filing errors that could result in additional unnecessary expense. Furthermore, divorce negotiations are oftentimes unpredictable. Your soon-to-be-ex-spouse may seem open to an amicable, uncontested divorce at the beginning, but an issue may crop up that causes a sudden shift towards acrimony and a contentious divorce process. It is also important to understand that your spouse could very well retain a divorce lawyer who is tasked with looking out for their best interests. You should level the proverbial playing field by having a lawyer of your own to make sure you reach a fair and reasonable agreement. Do not go through this difficult and complex process alone. The experienced Houston divorce attorneys at Lindamood & Robinson, P.C. are ready to help you. Our law firm handles all types of divorce cases including contested divorces involving significant, complex estates to simple, uncontested marriage dissolutions. To learn more about our legal services, contact our office today.